Evan K. Bromley is a Member of the Firm. Mr. Bromley is an experienced litigator representing individuals and businesses in trial and transactional matters. Mr. Bromley’s practice consists primarily in the areas of civil litigation and real estate, with a focus on business, personal injury, real estate, property owners’ associations, estate planning and probate litigation, and creditors’ rights. In addition to his law degree, Mr. Bromley earned a Master in Business Administration. Mr. Bromley uses this background to represent clients in matters ranging from complex business litigation to providing counsel on business formations, buy-sell agreements, business divorces, and partner buyouts. Mr. Bromley has been awarded an AV Preeminent review rating from Martindale-Hubbell. This is the highest rating a lawyer can receive, and is only awarded to attorneys deemed by their peers to exhibit the highest legal ability and ethical standards. Mr. Bromley was selected to be a member of Leadership Bluffton, Class of 2016, by the Greater Bluffton Chamber of Commerce. 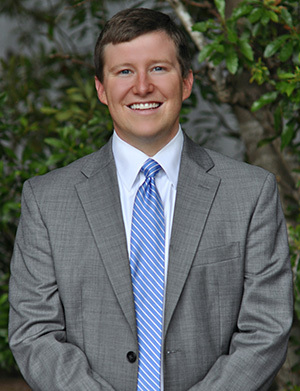 Mr. Bromley is active in the local community, and serves as the current Secretary of the Beaufort County Bar Association. Mr. Bromley was born and raised in Aiken, South Carolina. Mr. Bromley and his wife, Amy, live in Bluffton with their son, Sam, and dog, Murphy. The Bromleys are members of Live Oak Christian Church in Bluffton. Brock School of Business, Samford University, M.B.A.